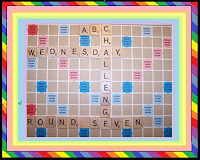 Among ABC Wednesday players I doubt a Jane Austen needs much introduction. Even less known facts about her must not be much surprise to many of you. But forgive me I couldn't resist. Bride and Prejudice, Tents and Tentsability, Fried and Pre-juiced Dishes, the book clubs, the blogs, the societies, and many more are a testament to her popularity. 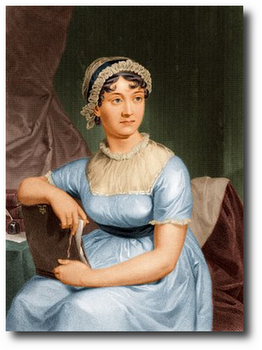 Fun piece on Jane Austen and a great idea for the J-Day. waaaaaa di ko ka tan-aw sa video kay hinay kaayo ako connection. Anyway, thanks for sharing this sis. That video was too, too funny!Like millions of others, Pride & Prejudice is very high up on my list. Great video, thanks for including it. What a beautiful take on J sis! Snap! Thanks for dropping by my blog! I love her books, thanks for so interesting post! The justifiably amazing Jane. Very funny video; I'm still waiting for a barouche at my door, could be some time. a terrific J idea. One of my favorite authors. You have now possible started on the Jane Austen re-read I have been wanting to do! I have read all JA's books, and seen the various TV and movie versions. What I'd really like to know is whether JA would find the BBC English accents of her characters in the movies and theaters a bit outlandish or just plain funny rather than accurate. (That's not a dig at the Brits, for I am one myself). But I do think we have invented a way of speaking, for all characters of that time period that is not legitimate. Do you think?